Grab your swimsuit and head for the water! 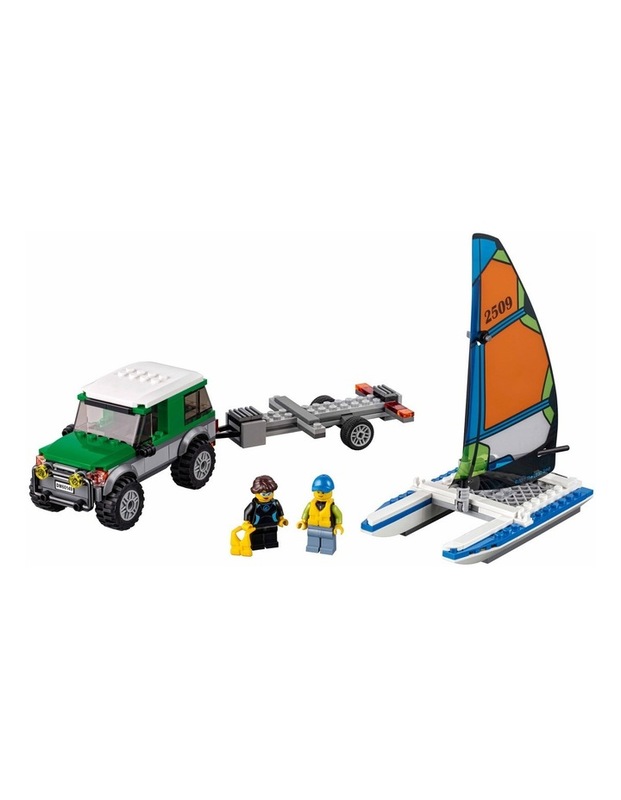 Load the catamaran boat on the trailer and hitch it to the 4x4. Pack up the life vests and drive to the shore. Launch the catamaran, lift the sail and have a fun-packed day on the waves. 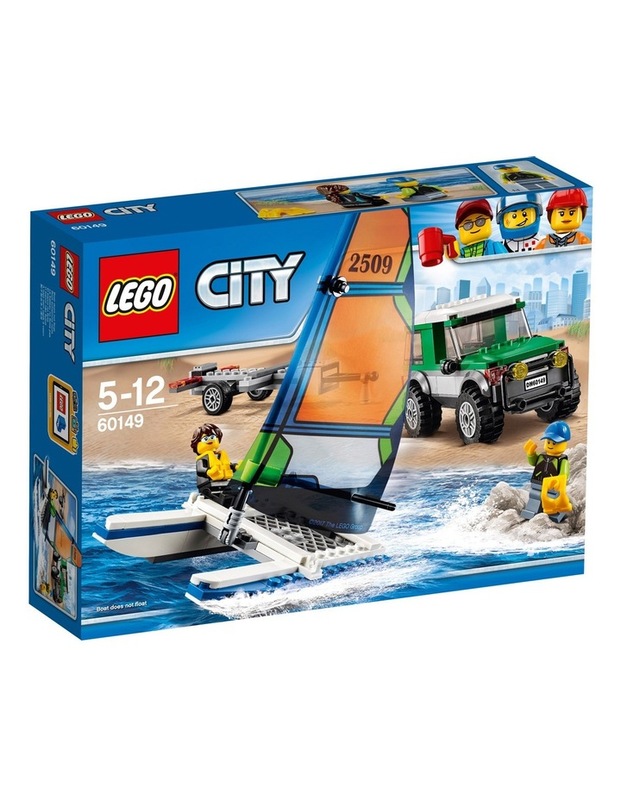 Its another exciting LEGO City adventure!